Pavlos Spyropoulos was born in Athens in 1984. 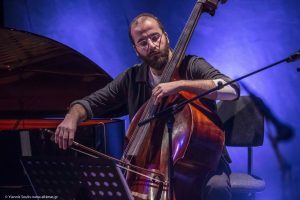 He began studying piano and cello at the Conservatory of Trikala “Tassia Kassiola.” In 2003 he started studying contrabass with Haralambos Himarios (State Conservatory of Thessaloniki). He graduated from Aristotle University of Thessaloniki, Department of Music Studies, in 2008 and holds a degree in Harmony, Counterpoint and Fugue, along with a degree in Piano (class of Markella Tsouva). He regularly attends seminars of music theory, piano, Ottoman music, traditional drumming, as well as composition and orchestration of modal music. Since 2004 he has been teaching music theory at the Conservatory “Tasia Kassiola” in Trikala. As a contrabass player, he participates in projects involved in traditional and contemporary music. In 2009 he entered the nuevo flamenco band “Caja Secreta”. 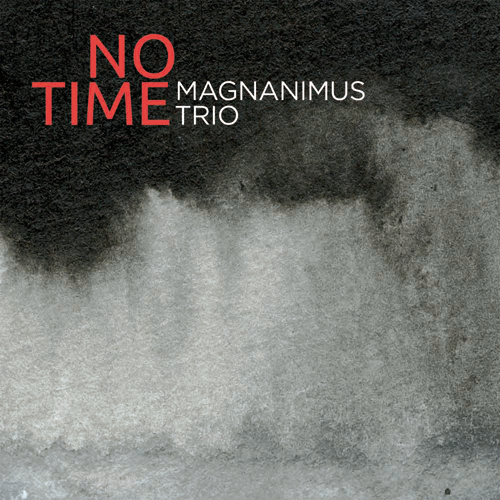 In 2010 Pavlos, together with Christos Barbas and Dimitris Tasoudis, formed the Magnanimus Trio (modal jazz). He is also a member of the groups “Modal4”, with Evgenios Voulgaris, and “Zurlia trio” (both bands play contemporary modal music). Since 2010 he has been often performing with the “Labyrinth” ensemble and Ross Daly. He was also a member of the theatrical-musical group “Mousiko Polytropo” (directed by Giannis Kaimakis). At the end of May 2013 he performed with Erkan Ogur & Derya Turkan in two concerts, at the Museum of Greek Folk Instruments in Athens and at the World Music Festival on the island of Tinos.